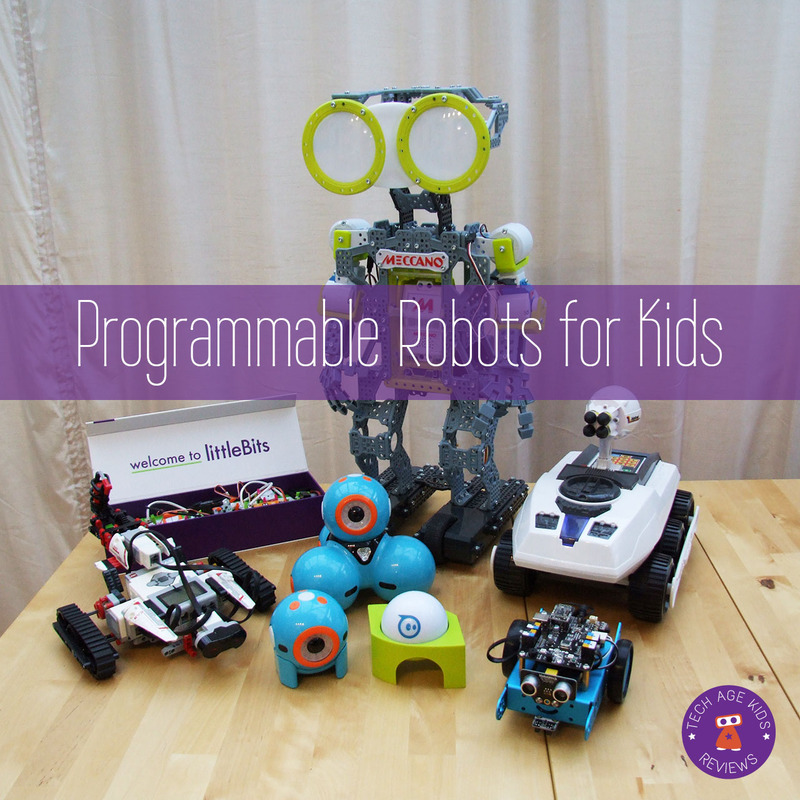 So, you want to get a programmable robot for your child or family? There are now lots of robotic kits for kids and robots on the market. Choice is great, but how do you pick the right one? Here at Tech Age Kids we've got a big collection of robots, and we've taken the opportunity to try out still more. We've got detailed reviews of lots of robots once you've narrowed down your selection. In this buying guide we'll go through the questions you'll need to answer to pick the right robot. All the robots here have lots of cool features but you want to make sure you pick the one that will be the best value for your family. Skills Focus: Do you want to focus on the mechanics and engineering skills of building a robot, the coding side, or having a fun toy with a bit of education thrown in? Difficulty: How technically capable are your children? This will depend on their age and previous experience. Also, how willing are the parents to get involved and treat the robot as a joint project? Parents can help children get more from a robot kit at a younger age than they would need to be to use it independently. Price: How much can you justify spending on a robot or robot kit? There's a huge price range. Maker Friendly: Do you want to add robotics to projects made by your child? This could be woodwork or junk modelling. LEGO Compatiblity: Is your child LEGO crazy? For some kids having a robot kit that is compatible with their LEGO bricks is really important. Languages: Does your child want to program in a particular language or framework such as Scratch or Arduino? Curriculum: How important is it that there's an educational curriculum or project books available to support learning? Do you want to just do your own thing or would you appreciate detailed guidance? Platform: Do you want to program from iOS, Android, PC or Mac? Or would you prefer a self-contained solution with built-in programming. Do check version compatibility for phones and tablets. Power: Boring but important. How is the robot powered. Does it use batteries, is it USB rechargeable? We'll go through each of our favourite robots and explain how they stack up against these criteria. Ozobot is a mini line following robot that can follow thick lines draw on paper and read colour codes to perform specific actions. Ozobot can also be programmed with Ozoblockly, a graphical block based language with different levels of difficultly for different ages and abilities. Ozobot has a coloured LED and can wear different costumes. Ozobot cases are clear or translucent so you can see the electronics inside. Ozobot can be used by a wide age range, even as young as 4. Very young children may find the button fiddly and will need help to load programs onto Ozobot. There's plenty here for intermediate level coders. Ozobot can be decorated with simple costumes but that's as far as it goes. There's no specific support for LEGO. However, we've found that Ozobot is the perfect size for a LEGO town and we've added a mini LEGO chariot. Ozobot reads a language made with coloured markings (pen or stickers) or flashing lights when used on a tablet. They can also be programmed via the graphical Ozoblockly language from a laptop or tablet. A selection of lesson plans is available. The Ozobot apps are available for iOS and Android and work best with larger devices. 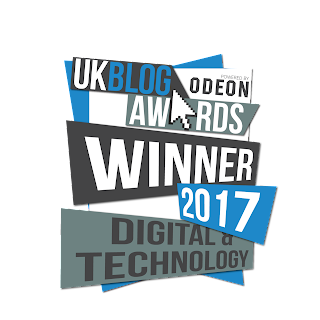 The Ozoblockly language is browser based and works on a wide range of devices. Ozobot is charged via its USB cable and recharges quickly. Ozobot is best for kids who want a fun robot to incorporate into their play. It's really good for use in small spaces. Sphero is a gyroscopic robot ball with lights and sensors. 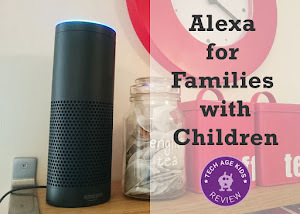 It's a fantastic tech toy with games and challenges to try out. And it's also programmable. There's an educational app called SPRK which you can use to program it and there are other options too. The SPRK version of Sphero is transparent so you can see the components inside. Focus Fun and Coding. Sphero is a sealed unit but if you choose the SPRK version you can see the electronics inside. Sphero is reasonably challenging to control and there's plenty of scope for coding. Age 8+ seems about right for Sphero. Sphero isn't particularly suited to building into your own projects though you can certainly design cool projects around it. Well you can add on a chariot for Sphero to pull around and that has a LEGO compatible building platform. Sphero has drag and drop apps that are accessible to kids. Sphero is open and more advanced users can use development kits on a variety of platforms to create their own apps. Sphero have recently added their SPRK app which teaches coding and other STEM skills. Apps are available for iOS and on Google Play for Android with some support for the Amazon Fire. Sphero has a fab inductive charging base, you just pop the ball back on the base and it charges automatically. Fantastic! Sphero (2.0 or SPRK) is best for families that want a cool tech toy that can also be used to learn coding and robotics. mBot is a powder-coated metal robot kit with lots of inputs and outputs. You can get compatible add-ons and use mBot as the basis of custom robotics projects. Or you can just build it and program it in its default form. Update: There's now a new updated mBot v1.1 which has a case that LEGO can be attached to and some other small improvements. And also the mBot Ranger which is a larger 3 in 1 robot. mBot covers both coding and construction. The robot comes in kit form and must be built - this is fairly quick and straightforward and the required tools are included. It also comes with an infrared remote that is initially set up to allow mBot to be used as a remote control toy. mBot can start off as a remote control toy, then progess to graphical Scratch programming and then Arduino. There's plenty here for the whole family. mBot is definitely maker friendly. You can buy compatible extension parts and add on custom elements. mBot comes with cardboard faces and tire inserts to encourage customisation. No for original. Yes for v1.1. and Ranger. mBot supports Scratch programming (though it's Scratch-based mBlock tool) and Arduino programming. There is a free eBook to teach robotics with mBot. 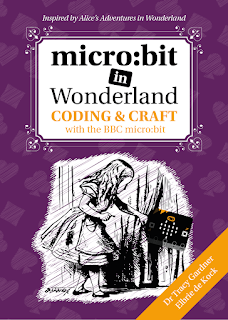 Scratch and Arduino programming are PC or Mac based. There's also the mBlockly drag and drop programming app for iOS. mBot takes AA batteries, but there's also an option to add a rechargeable battery which can charge directly from the robot. mBot is best for techie families where kids will progress from graphical programming to Arduino projects and there are techie adults willing to help. BigTrak is a tank that can be programmed from its built-in keypad. It has an extension port and you can buy a rocket launcher which can be programmed to trigger. 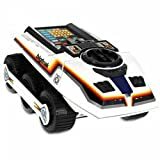 BigTrak teaches simple programming and its lots of fun, especially if you add the rocket launcher. Just the built-in Logo-like language. There's no support for programming from another device or PC. BigTrak is great for families with limited funds who want to introduce basic programming in a fun way. littleBits is a range of modular electronics components that can be used to make cool stuff. The littleBits Gizmos and Gadgets set includes parts to build various vehicles and gadgets. littleBits is commonly used to add electronics to craft projects. It's a good set for getting started with simple robotics. littleBits focuses on using electronics to do cool stuff. The modular components are easy to use. You're encouraged to build projects with everyday items and add littleBits to automate them. You can add on an Arduino module or cloudBit to control littleBits from a computer. Using littleBits is really simple - the components snap together with magnets. There's lots of scope for more complex projects though and lots of adults use it for home automation and prototypes. $$$ - Building up a varied collection of littleBits gets costly. Especially if you don't want to take your creations apart to build something new. littleBits is very maker friendly. Great for adding robotics to robots that kids design for themselves. Yes, there are littleBits adaptors for LEGO. Programming isn't needed. But you can use Arduino (via the ArduinoBit) and IFTTT or the littleBits API (via the cloudBit) if you want to take things further. The Gizmos and Gadgets set comes with instructions for building projects and there are lots of projects on the littleBits website. There's a book too. cloudBit programming is via a web app and is supported from PCs and mobile devices. littleBits are best for families that love to make stuff and want to design their own robots and add electronics to them. Dash and Dot are two separate robots that are designed to work together. Dash moves around and responds to voice commands. Dot doesn't move but has a robot brain with sensors, lights and a speaker. These robots are exceedingly cute and packed with personality. Young children will love them and there's plenty of scope for doing more with them as children get older. Dash and Dot teach coding through apps. There are add-on accessories that can be used to add variety. You can also extend the robots using building brick connectors. There are fun games to play too. Dash is a good choice as a first robot for a pre-reader. There's lots of scope to progress to more complex stuff. Dash and Dot are best suited to young children. $-$$$ - starting with Dot is cost effective but you'll get the most from one of the packs that includes both robots. Dash and Dot are self-contained robots. You could build projects around them especially if you add the building brick connectors. Yes, you can get building brick connectors. Programming is via Make Wonder's own picture based language or graphical drag and drop blockly. There's lots of educational material build into the apps. Make Wonder have also run a competition with challenges using the robots. Dash and Dot are best for families with young children who want to introduce them to robotics before they can read and have a robot that will grow with their children. 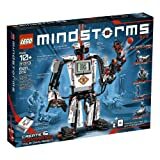 LEGO Mindstorms EV3 is a LEGO Technic based kit that can be used to build lots of different robots. It has a power brick brain that can be used to control motors and other outputs and take input from sensors. Mindstorms is well-established and there are lots of books that you can buy to get more from the robot kit. There's lots of building involved in LEGO Mindstorms whether you build one of the included robot designs or go on to build custom ones. There's a graphical coding tool, but there are also third-party solutions for programming with popular programming languages. You can just build a basic robot and focus on coding initially. Techie kids can start enjoying LEGO Mindstorms from about age 7. But there's loads of scope for more complexity for older kids up to teens and even adults. It is LEGO! It uses Technic pieces for construction and regular LEGO can be added on. Custom graphical language. Third-party support for other languages such as Python. Missions are built into the graphical software. There are also several books available with further projects and ideas. And there's the First LEGO League competition. Programming is via Windows or Mac. There is an app for controlling Mindstorms robots. Batteries or a rechargeable battery pack. LEGO Mindstorms is best for LEGO mad kids who want to go on to design their own robots on a well-established platform. The Meccano Meccanoid was a new robot for 2015 from construction toy brand Meccano (now part of SpinMaster.) For 2016 we have the Meccanoid 2.0 and 2.0 XL which is four feet tall. Update: The new Meccanoid 2.0 robots are now available for 2016. No major changes just a more powerful brain and feature improvements. Meccanoid uses Meccano pieces and has lots of entertainment features such as telling jokes and doing dance moves. There's lots of focus on construction with the Meccanoid. The standard humanoid and alternate dinosaur builds take several hours even for the smaller robot. Meccanoid has lots of entertainment features and makes a great tech toy once it's built. It has lots of innovative options for recording behaviour for the robot. Proper programming via an open interface is promised for the future. The build is challenging and would be tricky for kids under 10. Slightly younger kids will enjoy the built robot. Compatible with regular Meccano and user have created 3D printed parts. New for 2016 is the Behaviour Builder graphical programming language which allows Meccanoid to be programmed from a mobile deivice. It's early days for Meccanoid. It is one of the options for the Moon Bots competition. The smaller robot is battery powered whereas the larger one comes with a rechargeable battery pack. 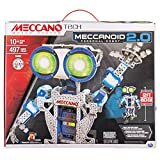 Meccanoid is best for families that want a cool companion and who enjoy the building and designing and want to try out innovative ways of interacting with a robot. It's going to be important for today's kids to have an understanding of robotics including mechanical design, electronics, coding and human factors. The robots we've chosen are all capable in their own way. Some are better as companion robots which help kids think about the human factors involved in interacting with a machine. Some are fab for developing mechanical engineering skills whereas others don't involve building and let you concentrate on coding. Some are great entertainment toys and others can be used so solve real world automation problems. Some families will end up with more than one robot over time to develop a range of skills. 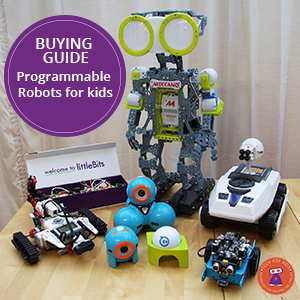 We hope this article will help you choose a great robot for your family. I am a school teacher. My students are 11 - 12 years old. I want them to learn to code with robotics. Should I purchase a ev3's or mbot's?